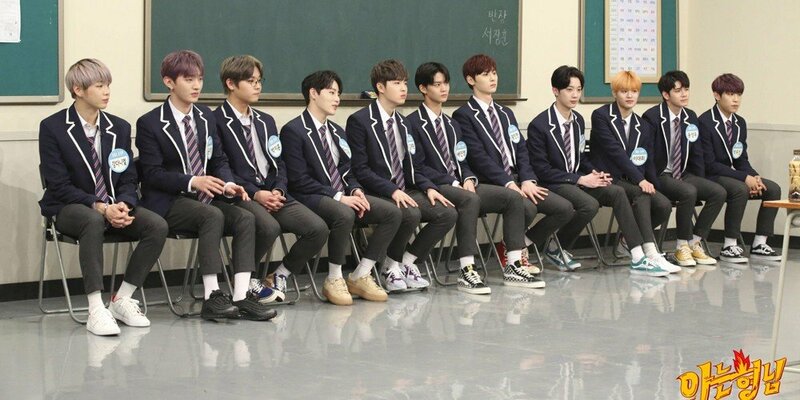 Wanna One are putting their school uniforms back on, for a second appearance on JTBC's 'Knowing Brothers'! According to reports on November 1, the 11 members of Wanna One are currently filming for their 'Knowing Brothers' appearance on this same day. Previously, it was revealed that Wanna One would be filming for a full group appearance on KBS2's 'Happy Together 4' as well. Meanwhile, the project group is set to make a comeback with their 1st full album '1��=1(Power of Destiny)' on November 19. I was hoping iZone to visit but then Wanna One is still around so they still have to visit before iZone can visit.